The Treasury of Srîmad Bhâgavatam (The Krishna Bible, under preparation, by Anand Aadhar Prabhu). Watch all the beautiful pictures and paintings. Varanasi Slide Collection by American Institute of Indian Studies (AIIS) Deccani Miniatures: Slides 5-90. Sanskrit Manuscripts: a large number of South Asian manuscripts photographed. Indian Miniature Paintings - Exhibited for sale in the Sculpture & Arts Gallery are a range of arts (Hindu, Buddhist, Islamic and Jain) which are mainly sculptures in bronze, wood and clay but may from time to time include boxes and containers, textiles, small furniture, etc. Black Peacock: Indian Miniatures & Gaudiya-Vedanta Philosophy. The Black Peacock features gallery showings of art miniatures and archecticture from India. - Bhagavat Purana Series: Series One, Series Two, Series Three. - A beautiful presentation on Rama's wanderings in exile and His adventures in the forest, as narrated in the great epic Ramayana. - Commentary and biographies of some of the greatest Gaudiya Vaisnava spiritual leaders in history. - Planetary Deities and the Zodiac with commentaries by Srila A.C. Bhaktivedanta Swami Prabhupada. - Lord Shiva and His Consort fifteen miniatures of Lord Shiva and his consorts in various aspects. - Controlling Deities ten miniatures of controlling deities with commentary. The Art of Time; Time Art Gallery. Throughout human history numerous works of art have been dedicated to the subject of time. These works are paintings and other objects by famous artists, cultural creations like calendars and clocks and scientific pictures of beautiful galaxies and such. Just take a look around in this museum of devotion to the reality of time and add your own links here. By: The Order of Time: Your Participation Platform for an Alternative of Time Consciousness. The Art of Time; Filognostic Art. Art can be in love with knowledge and express apart from being figurative also meaning in words. These compositions of form and words are called filognostic art. They express the postmodern sense of time and the aphorisms that occur in the realization of ones own alternative time-consciousness. View the original graphics. You may download and print them out for personal use and link up your own personal contributions. By: The Order of Time: Your Participation Platform for an Alternative of Time Consciousness. Colin Meijers Krishna Art. A gallery with drawings for Krishna and other Avatars and Deities, in color pencil. The Mythologies in Pictures by Fantalov. Beautiful paintings of Scandinavian, Celtic, Slav, Russian, Zoroastrian, Greek, Indian and Christianity mythologies and much more. Harmony School of Conscious Art. Art is made by human beings, and human beings can be conscious of being conscious. The highest purpose of art is to express this self-awareness and encourage its further developement. Devi Homepage: A website about the Indian Goddess Devi, with paintings and background information. What's in the Cinema? by The Order of Time. Film reviews often tell you what would be commercially attractive or to the common expectations. Therefore these descriptions of movies you might want to see but did not decide about yet. Read what at this time can and before could be appreciated in the cinema's and add your own movie-pages. Krishna Art - and much more. Webmuseum, Paris. With a large collection of paintings by painters in alphabetical order. 'A Journey to Shanti', by Sylvio Tabet. A beautiful pictorial book photographed, edited and compiled by Sylvio Tabet, in an effort to spread a message of Love and Peace. "A Journey to Shanti" embraces pictures of Life with quotations of Sri Sathya Sai Baba. Spacescapes Gallery: Paintings of other worlds, both real and imagined, have made it possible for many people to experience the beauty of the universe. Vladi's Gallery. Oil paintings: paintings illustrating Hindu Philosophy, Graphics, Movies, 3D, Multimedia and Stage-settings. Artindia: Digital dreams-, aums-, epigrams- and desiderata's. Great images. Birds of Kolkata (Calcutta). A large on-line resource of exclusively Indian bird images. 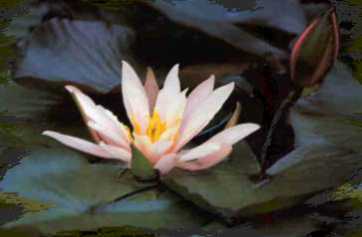 Awaken Visions: Self-taught techniques include oil on canvas with airbrush touchup. The mandala works are pen and ink on paper, and then colored on computer. Rather than appealing to select markets, such as "New Age" and "Spiritual", the work appeals to a good percentage of people in all categories - perhaps anyone who appreciates or longs for that heartfelt place - thus crossing race, social, gender, religious and ethnic boundaries. Web Gallery of Art - The Web Gallery of Art is a virtual museum and searchable database of European painting and sculpture of the Gothic, Renaissance and Baroque periods (1150-1800), currently containing over 11.600 reproductions. Commentaries on pictures, biographies of artists are available. Shankar Gallery: In a kaleidoscope of variety and versatility, S.S.Shankar employs representational and abstract styles to speak of a philosophy that is as old as Mount Kailash and culturally ancient as Arunachala Mountain. Kamat's Potpourri: The History, Mystery, and Diversity of India. Iskcon.com Galleries: Bhagavad Gita As It Is; Light of the Bhagavata; Srimad Bhagavatam; Krishna Book etc. Mandala Publishing: Mandala Publishing strives to produce art books, sacred kits, card decks, postcard collections, greeting cards and multimedia products with enduring meaning and value. Our Goal is to serve our long term readers and viewers as well as new communities and individuals with spiritual tools and timeless resources for reflection and development. The Spiritual Art of Paul Heussenstamm (Mandalas.com). As a renowned teacher and fourth generation artist, Paul has been sharing his unique gift of helping people discover their Soul through his paintings and Art As A Spiritual Path workshops worldwide. The Art of Seema Kohli (b. 23-9-1960, New Delhi). [new] M.V. Dhurandhar: Mahadev Vishwanath Dhurandhar (1867–1944) is a noted Indian painter and a postcard artist. He was a popular painter during British rule in India. His illustrations of women in their daily life are especially popular. The early manifestations of still life can be seen in his works. I create paintings in oil, poster, and water and also in dry medium. My interest is more inclined towards Spiritual paintings, Indian myth, Indian culture, and also on other topics. So I have a good deal of experience in creation of spiritual paintings on a realistic, artistic and dramatic way. I would like to introduce myself with my work. For your visual reference I have given some thumbnail sized photos of my paintings. You can get to see the realistic feel induced in it. Eos Development. Web Site and Graphics Design. Chromatism: is a discipline which lies at the confluence of mathematics and art, by Edward S. May (beautiful computer-generated images), with a demo-program to make your own! Realm Graphics - One Stop Web Images. Madlantern Arts: Graphics, music and web designs by Madlantern. British Library: Images Online. Images Online gives you instant access to thousands of the greatest images from the British Library's collections which include manuscripts, rare books and maps spanning almost 3000 years with material from every continent. [new] Ian Alexander's Natural Patterns Library. Hundreds of unique, beautiful and genuinely natural patterns! Kunst in de galerie van Wim Kuenen: Het schilderen is voor mij een uitlaatklep en daarom zijn de thema's vaak zeer persoonlijk. Ook ben ik geïnspireerd door de Indiase Veda's waardoor het werk een spirituele lading krijgt. In mijn schilderijen gebruik ik vaak de volgende thema's: geboorte, ziekte, ouderdom, dood; karma; de kringloop van het leven; schepping; onwetendheid, hartstocht, goedheid, spiritualiteit; liefde en pijn; godsbewustzijn; Krishna. Natuurgeluiden - Voor CD's zo mooi als de Natuur zelf! Bert de Wilde: Op deze site is een selectie van zijn schilderijen te zien, een toelichting en iets over Bert de Wilde zelf. Bert de Wilde ontleent de motieven voor zijn schilderijen weliswaar aan de werkelijkheid, maar een natuurgetrouwe weergave daarvan is niet datgene wat hem voor ogen staat. Atelier Mandala: Pieter D. Torensma. Friese kunstenaar Pieter D. Torensma (1944) neemt een unieke plaats in de hedendaagse beeldende kunst in. Sinds 1975 is zijn werk in steeds breder wordende kring bekend en zijn veel van zijn beelden te vinden in meditatieruimten en dergelijke. Zijn gevoel voor ordening en zijn natuur-wetenschappelijke interesse uit zich in mandala's en mandala-achtige schilderijen.